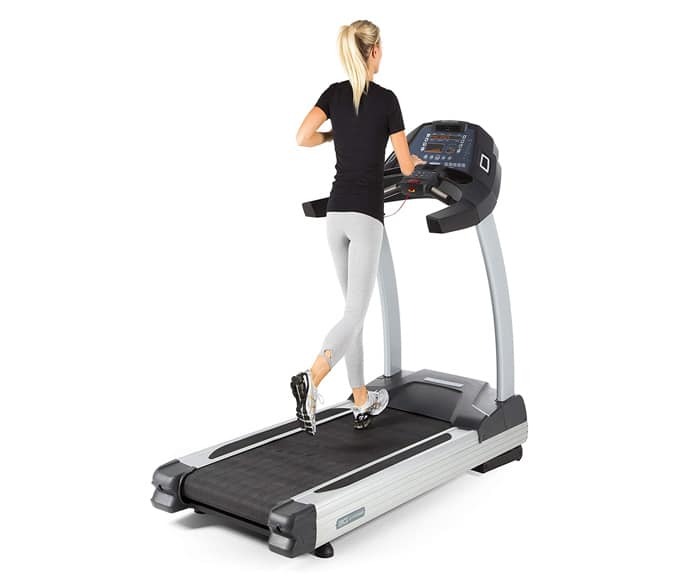 We bring you the best treadmills in several categories! Treadmills are a fantastic tool for taking your fitness game to the next level or just maintaining a strong heart. But before making a purchase, you need to know what to look for and many people have certain criteria based on their budget and needs. 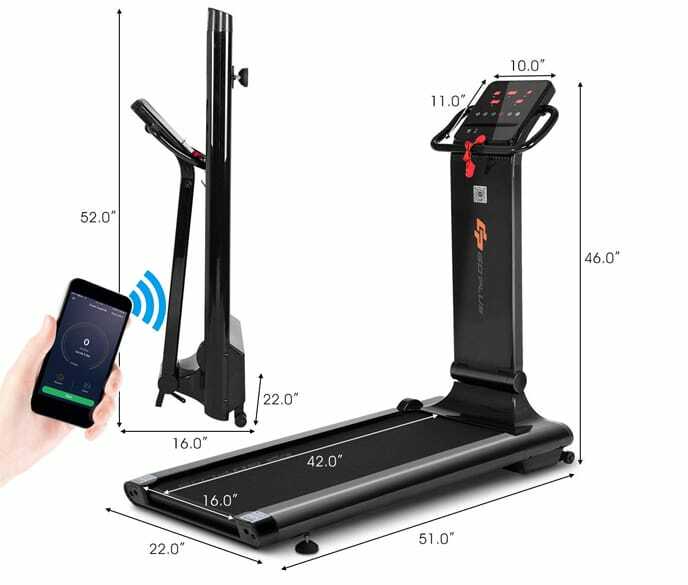 Now, maybe you can’t spend much but want a treadmill that’s fully functional, or you may need all of the bells and whistles… no problem, there’s something for you! The options are endless, as treadmills come in all different shapes and sizes… and the features are better than ever. So whether you want speed, ruggedness, functionally, technology tracking, or a combination of everything… We’ve made the decision much easier with our best 2019 picks! In the study, both were compared and simply raising the treadmill to an incline at a 1% gradient allows for an increased amount of difficulty during your exercise session when compared to outdoor running. So, wind and elements are really the only determining factor here but both do have pros and cons like weather conditions, budget, privacy, and convenience. No one can tell you which treadmill is best for you so take these factors into consideration. So many people would agree on how good this treadmill actually is and if you want all the bells and whistles the F80 has that too. With a cushion flex whisper deck, the company claims a 40% reduction of impact on the joints. But factor in the heart rate monitoring strap, LCD display, and warranty… and you’ll see that it’s hard to go wrong with the Sole Fitness F80. Based on user reviews, the F80 lives up to the hype! When it comes to running, you need a treadmill that will hold up whether you’re jogging or sprinting. So we thought the F85 was fitting for this very reason and it’s the perfect treadmill for any type of runner. The cushion flex whisper deck reduces impact by 40% so your joints won’t take a beating, allowing you to train all the time. 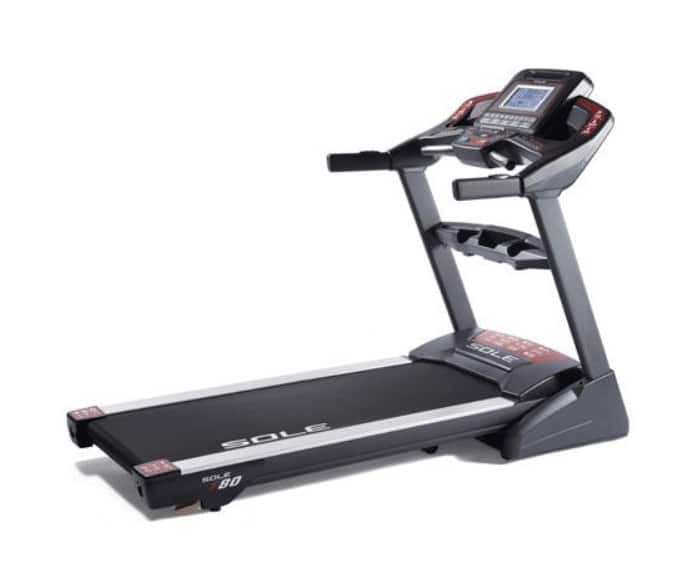 The F85 is what Sole calls their best folding model but don’t think that means a lack of durability and sturdiness… plus the running deck is the largest in their line of treadmills. Now, you do get a 9 inch LCD which is pretty standard, plus you get ten programs to guide you and cooling fans for your most brutal cardio sessions. The quality gets an A+ based on user feedback. If you’re the type of person who just can’t get enough done in a day then you might want to consider this model which is fully equipped with a desk so you never have to stop working (To each his own)! 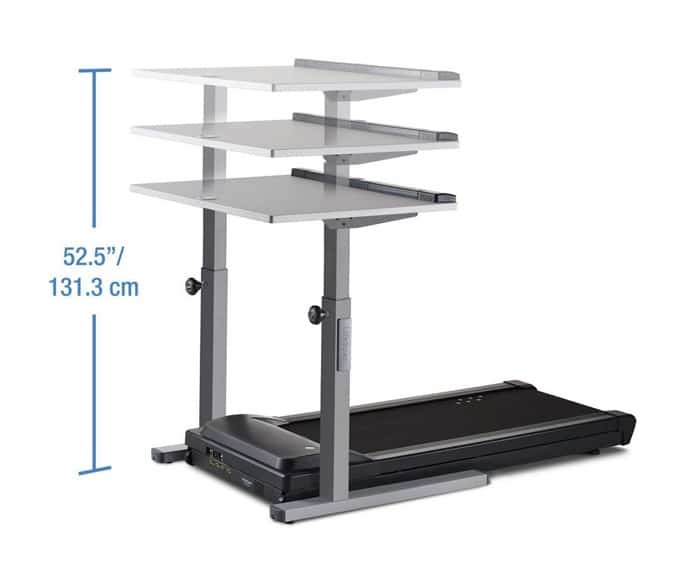 It has a convenient but sturdy desk with a 38” x 29” surface area and Bluetooth capability so you can use the free app to track your progress. Now, it’s a slower model only reaching a top speed of 4 MPH but what do you expect for a treadmill made for the working individual. But there’s no screen for distraction, so you’ll have to bring your own electronic devices. This means you never worry about leaving your laptop behind as there’s always a place for it so you can multitask during your workouts. This machine is for the people who don’t mind spending a little extra for more quality, and it’s worth every penny! 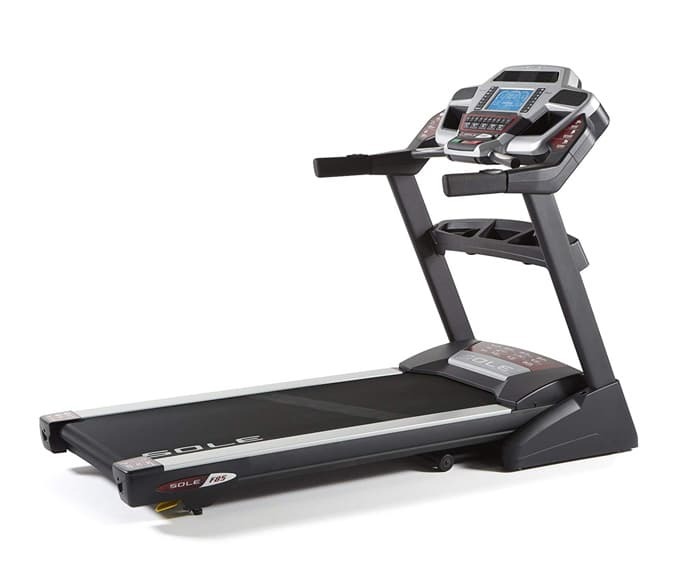 The Ortho flex shock suspension system is part of the reason the 3G Elite Runner is fantastic but when you consider other benefits like more programs that you can keep yourself busy with and the 10-year parts warranty, plus 2-year in-home labor; you’ll never regret putting this machine in your home for a second. There’s a multi-speed fan and an audio connection option so training with the best sound. Whether you walk, run, or do a combination of everything, this is a quality option you shoulder overlook (Unless it’s out of your budget). We all like quality options which are easy on our bank accounts too and the Goplus is an awesome treadmill which can fit into small spaces for when you need to get in your miles. At only 77.8 pounds, you won’t have anything to complain about concerning space issues. The hi-fi sound system allows you to exercise with good music and the 11-inch LED screen gives you entertainment and coaching right at your fingertips. Now, we chose this specific model because of this size but that also means the weight limit is much less compared to bigger and heavier designs. The max weight limit is 220 pounds so if you’re over that weight it can cause structural damage and stop functioning. Spending a lot on a treadmill at first could work for some people but why do that when you can get quality for a budget. 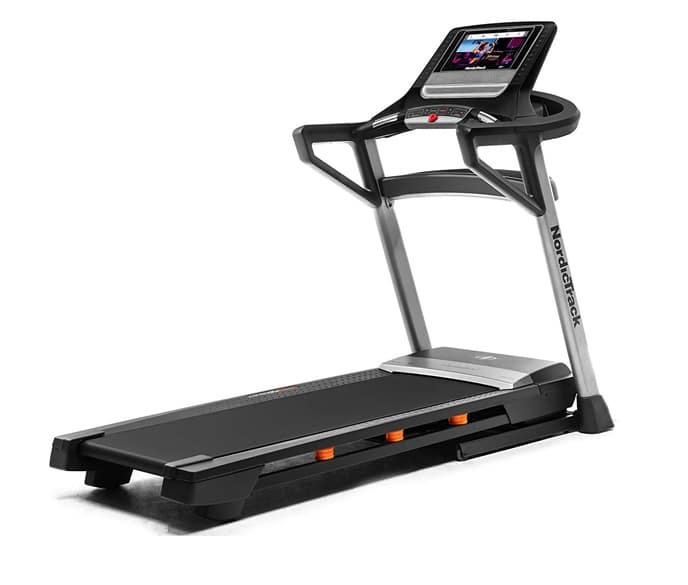 The treadmill comes with a lifetime frame warranty, 1-year motor warranty, and 90-day parts and labor warranty. NordicTrack makes excellent products, so we chose the T-Series for our mid-range pick because of its attractive price to quality ratio. 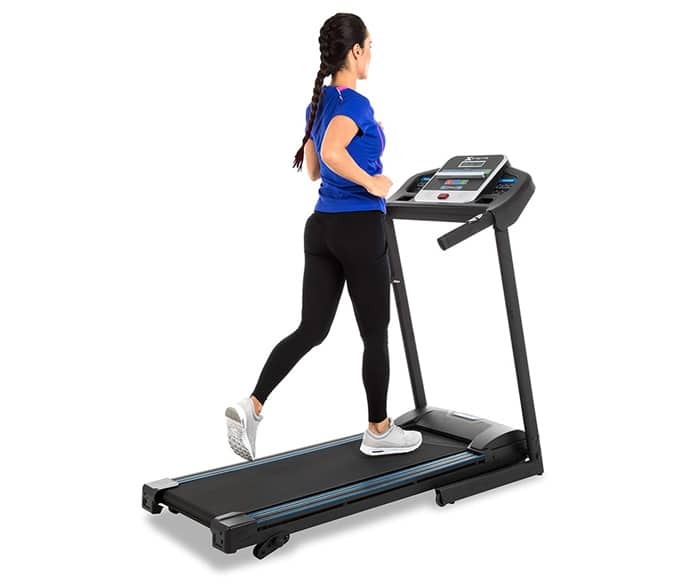 Now, there may not be a whole lot of difference between this treadmill and others in the same price range but you do get three screen display options and a one-year iFit membership which is valued at $396 and it includes a lot of amazing features. The speed goes from 0-12 MPH and you also get an EKG grip for checking your pulse during exercise. But a really good selling point for this treadmill is the lifetime frame and body warranty, 5-year parts warranty, and 2-year labor warranty. Also, we thought it’d be fair to mention that the ifit membership can get costly after your free membership, so keep that in mind too. Weight: Not clear but shipping weight is 222 pounds. We hope you enjoyed our specially-picked options but now it’s time for you to make a decision. So, factor in your budget, needs, and space before making a purchase and you should have no issues. But whether you like to walk, jog, or run indoors, a treadmill can’t be beaten for its versatility and features. Many options offer a lot of additional benefits and features like LCD screens, preprogrammed training programs, and extreme comfort so be mindful of this if you like all the bells and whistles too. But whatever you do, make sure you check out reviews of user experience because you don’t want the hassle of returning a product and the inconvenience of missing another cardio session! This is Colleen Logan, head of marketing for NordicTrack and ProForm, thanks for including our NordicTrack treadmill. 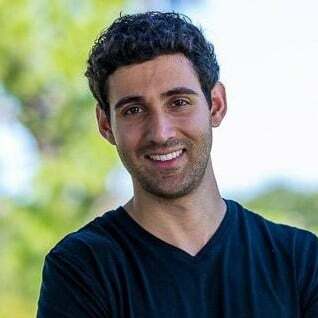 Would love to chat with you about getting you products to review if you are interested, let’s chat.